Neoprene outer grease seals for rear axle.. 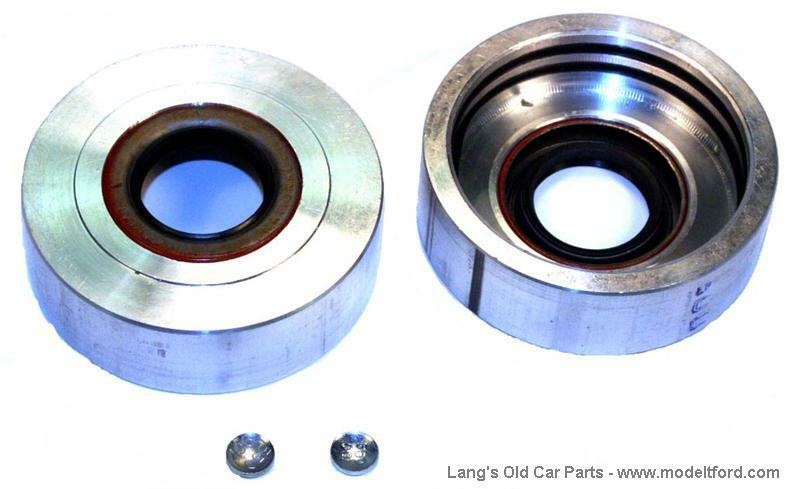 They replace the outer axle housing cap set (Part# 2510S) and are a simple solution to rear wheel grease leaks. This has a modern neoprene center seal and two “O” rings, in each aluminum cap. The aluminum cap is turned (not cast as other seals) for added strength. Is a flat steel washer required between this seal and bearing? The steel washer is only required with the felt style seal kit. The modern kits do not use the washer.